Home » Healthy » Injectable Vitamin C For Brighter Skin ? Injectable Vitamin C For Brighter Skin ? 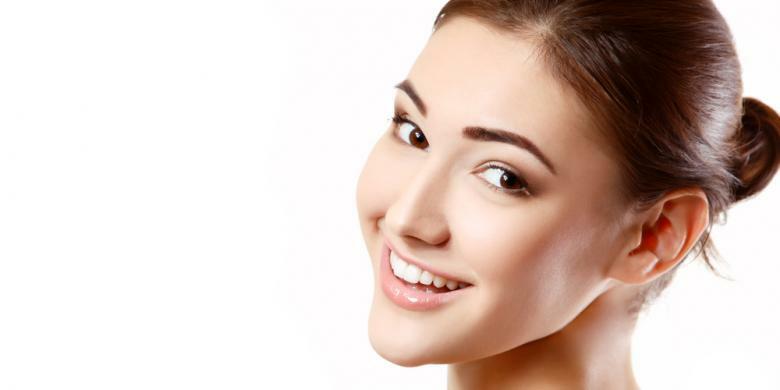 - Skin looks radiant and fresh certainly look more attractive. Unfortunately, exposure to sunlight and free radicals often can not be avoided. Yet that is what makes the skin dull, lusterless. One known way to get a powerful and secure in a bright skin is to utilize the potent antioxidants such as vitamin C. Some people even do the procedure of injecting high doses of vitamin C for the sake of brighter skin. Although the procedure is known to be safe, but according to the plastic surgeon and aesthetic reconstruction, Irena Sakura Rini, vitamin C is consumed through food. That way, rated Irena more profitable than doing high doses of vitamin C injections. "Nowadays people are strange, but a strict diet injections of vitamin C. In fact, a good diet it means enough vitamins, fruits contain vitamin C should be eaten," he said on the sidelines of a press briefing Annual Scientific Meeting of the Association of Physicians and the Reconstructive Plastic Surgeon aesthetic premises (PERAPI), some time ago in Jakarta. According to Irena, by eating fruits or other foods that contain vitamin C, the benefits are not only skin, but also for overall health. That is why, the consumption of vitamin C is naturally better than injections. Irena explains, vitamin C has the ability to suppress the growth of melanin cells in the dermis layer of the skin. Malanin cells are cells that provide pigment in the skin. If the cell count is the more it will seem darker skin. In addition, vitamin C also acts as an antioxidant against radical bebes body obtained from exposure to pollution and sunlight. It would retard the aging process of skin cells that keep it supple and youthful. The dose of vitamin C a day for adults is 75-90 milligrams per day. Fruits are brightly colored like oranges, guava, apple, kiwi, and grapes are a good source of vitamin C.